VIDEO INTERVIEW. Airside digitalization intensifies globally as the aviation industry is undergoing a lot of change. 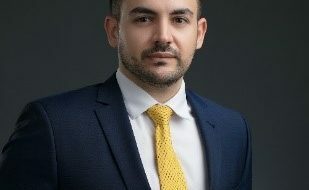 We interviewed Andrew Thorndyke, Vice President – Business Development at Frost & Sullivan about the recent study titled Digital Transformation Of Airport Airside Operations. Watch the video interview where he offers valuable insights on what areas and technologies global airports are investing in and about airport´s digital readiness. 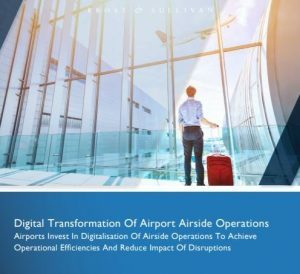 The study conducted by Frost & Sullivan and commissioned by ADB SAFEGATE is the second within a digital transformation series and it aims to answer specific questions around digital transformation of airside operations to provide a better understanding of what the digital readiness is of airside operators within airports. In most cases airports are finding that they can’t extend their capacity, which means that they have to deal with more movements of people and assets in a smaller space. They need to develop more seamless communications and more automated processes in order to be more efficient within their operation. 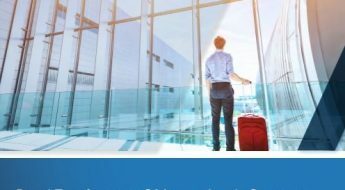 It’s important for airport operators to really understand a little bit more about what their peers are up to and to get a better handle on some of the key areas that they’re concerned with now and in the future. It outlines, some of the key technologies that many airports are looking to deploy over the next five years. It also gives a view and understanding of some of the key performance indicators that are being prioritized by airports.